The non-compete jurisprudence coming out of Texas courts strains all bounds of reason. For years, the Supreme Court of Texas had managed to botch statutory interpretation so poorly and negligently that virtually all non-compete agreements for at-will employees were void for lack of consideration. The cases were impossibly confusing. Recently, that changed, and the law shifted back decidedly pro-employer. Texas is one of a number of states that regulates non-compete agreements by statute, with a confusing overlay of contradictory case law. It makes for a potent mix. The oddity about non-competes in Texas lies in its version of the blue-pencil rule, which requires courts to modify overbroad non-competes to make them reasonable. Florida adheres to a similar approach. The perverse incentive created by this rule is that employers tend to draft agreements without regard to temporal, geographic or scope of activity limits, knowing full well that a court will just rewrite it as long as a true legitimate business interest is at stake. In a recent preliminary injunction decision, Texas' modification doctrine - regardless of how ill-advised and illogical it may be - was on full display. Brett Leslie worked in Georgia and Houston as a business manager for TransPerfect, a service company which translation services to businesses and individuals throughout the United States and abroad. Leslie signed a non-compete agreement that barred him from competing "with the TransPerfect business in any activities involved in the provision of goods or services in competition with the business" for a period of one year. The geographic scope was spelled out in a subsequent provision and applied to the "states in which TransPerfect maintains U.S. Offices." The evidence showed Leslie primarily worked in TransPerfect's e-Learning division, marketing products nationally and in certain foreign countries. In November of 2008, Leslie submitted his resignation letter and advised TransPerfect he was taking a job with Merrill Brink International in Chicago, selling e-Learning and Life Sciences products. TransPerfect filed suit to enforce the covenant, and the court granted a preliminary injunction restraining Leslie's ability to work. The court specifically found that the non-compete agreement was overbroad as drafted, noting that "the agreement is extremely broad in scope and prohibits competition in geographic areas where Leslie did not even attempt to make sales." Instead of denying enforcement of the agreement, the judge correctly held that Texas law required him to modify the contract to make it reasonable. In other words, the judge assumed the position of rewriting the parties' contract. And the absurdity of this rule was on full display. The court basically struck the entire non-compete and wrote two new paragraphs into the contract - a contract presumably drafted by TransPerfect's attorneys. The court barred Leslie from participating in any with the e-Learning market or working with customers he contacted or to whom he made a sales presentation while employed by TransPerfect. Sounds fair, at least considering this was a Texas case, but the revisions were nowhere in the agreement to begin with. It is perhaps relevant, too, that Leslie claimed he was willing not to contact any customer he serviced at TransPerfect and stay out of the e-Learning market at Merrill. Had he pressed this issue further, the court might have felt obliged to limit the injunction just to customer solicitation. Interesting article. I understand why employers want non-competes, but on the back-end, when the employee leaves, he finds he is handcuffed and is something of an indentured servant. What about this scenario: employee signs a reasonable non-compete and employee is also incorporated in Nevada in a non-related enterprise. Employee leaves employer and starts a company of his own as a DBA, within the Nevada corporation, and competes for the same customers in the same local geography for the same business. Will the Inc shield the employee from any lawsuit? Does the non-compete allpy since the Inc is a Nevada corp and the competition is taking place in Texas? That's a good question? I would like to know the answer to that if anyone knows. To your first question, the scenario you offered will not specifically shield the employee. The employee likely signed the non-compete personally and is therefore personally responsible for complying with it - regardless of whether the employee goes to work for his/her own company or a company owned by a third party. The employee is going to be personally liable for performance and has personal exposure to a lawsuit from the former employer. To your second question, the location of incorporation of his/her company is likely to be irrelevant - the relevant inquiry will be the actual location of the competition. In your scenario, the employee is going to work for his/her own company. Alter the scenario a little and say the employee is going to work for GE in the same geographic location in which the employee was previously employed. 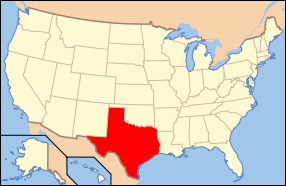 Even though GE is not likely incorporated in Texas, the competition is in Texas so the employee is likely to be restricted. The employee is less likely to be restricted if the employee was going to go to work for GE, or for the employee’s own company, out of state like in Nevada, but that is not the scenario you put forth.